We are pleased to announce that the New Pavilion in Lower Green Road, Pembury, was officially opened for business on 3 May 2008 by the Mayor of Tunbridge Wells, accompanied by Greg Clark MP and County Councillor Kevin Lynes. This brand new facility boasts 4 full size changing rooms and showers, 2 officials changing rooms, (all to Sports England’s strict specifications), separate male, female and disabled toilets, and a 1000 sq ft club-room area with a fully fitted kitchen adjacent. Whilst primarily suited for football, and is the home of Pembury Athletic Youth FC, this facility can also be hired out for other events, sporting or non-sporting and many other occasions. Meetings, seminars, training groups, children’s birthday parties are just a few of the many applications that can be accommodated at the pavilion, right throughout the year. Pembury Athletic held their awards ceremony here after the opening ceremony. For certain events, hot or cold buffets can be supplied with morning coffees/ afternoon teas etc. Sitting in the corner of the Lower Green Recreation Ground, the club rooms double doors open up directly on to the Recreation Ground where the recently installed children’s play equipment is located, in addition to play equipment for older youths, including a multi sports surface area built by Pembury Parish Council. 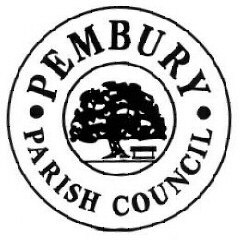 There is ample parking next to the pavilion, which is accessed from Lower Green Road in Pembury.